Z.O.D. 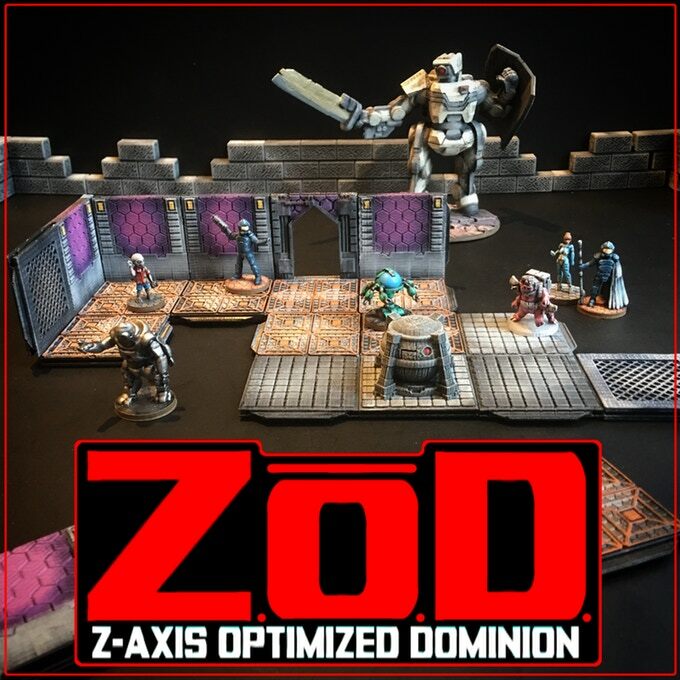 (Z-Axis Optimized Dominion) are digital files of modular 3D-printable terrain for tabletop miniature gaming. All files will be available for download November 2017 - basic Dungeon and Starship themes for free, all complete sets for a nominal fee (or free to our Patreon supporters!). Z.O.D. tiles are optimized to print along the Z axis, meaning you can get high definition on details, use less material (0% infill), and fit more tiles per print. Z.O.D. tiles print easily in one piece and never require support material. Tiles easily slide or snap together for a firm hold, ensuring that each piece you print is textured to be part of the map. Each tile segment prints in an average of 45 minutes, and you can print one at a time to avoid curling if that's an issue for your machine. All genre themes will interlock, allowing you to mix and match from any set. Wall tiles use their own channels and do not infringe on the floor grids, each of which perfectly accommodates a 25mm/1" base. Try printing your Z.O.D. tiles in black filament (ABS or PLA) and skip the priming phase, painting directly onto the surface! Try printing one tile at a time first. Print at 0% infill for the best results. You don't need support, but a raft may be helpful (depending on your printer and material). We print ours at a .2 layer height, though you could try for higher resolution if you prefer. We've had equally good results in both ABS and PLA.